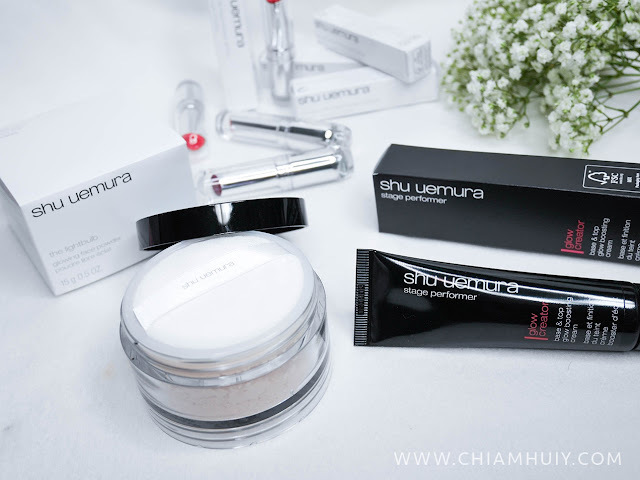 It's my very first time being introduced to the cosmetic brand shu uemura, despite hearing many good raves about it. What took me so long really?! 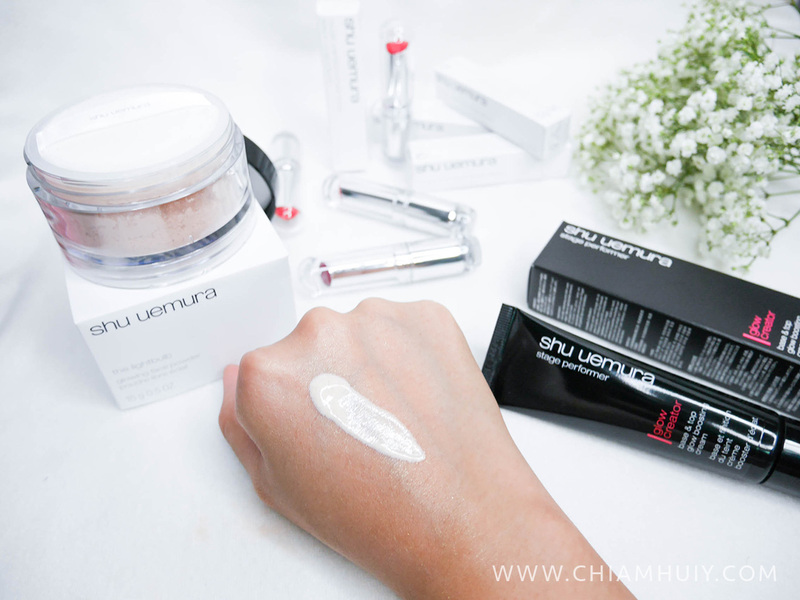 Anyway, better late than never, today's post features all about shu uemura new light sculptor collection. Be ready to experience a whole new level of sculpting and contouring through none other than, the use of light! In the world of makeup, there's two ways to create the illusion of defined and distinct facial features. We either use a darker shade to create a concave, or use a lighter shade to bring out the points where we desire them to look more protruding. Because we Asians are not exactly blessed with defined features unlike the Caucasians, we have to make full use of cosmetics to create that perfect, defined look. 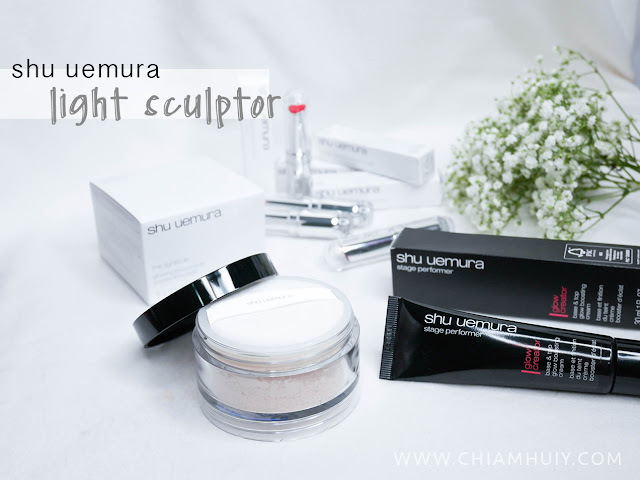 shu uemura light sculptor collection, as the name suggests, use the latter method. That means, this collection focusses a lot on capturing the light to create a dewy yet sculpted look. Think of higher cheek bones and nose bridge, that's the idea of this whole collection *winks. First up, the shu uemura stage performer glow creator in dazzling glow (30ml / S$62). PS: The stage performer glow creator already has two former shades - pure glow and warm glow. This product is amazing. 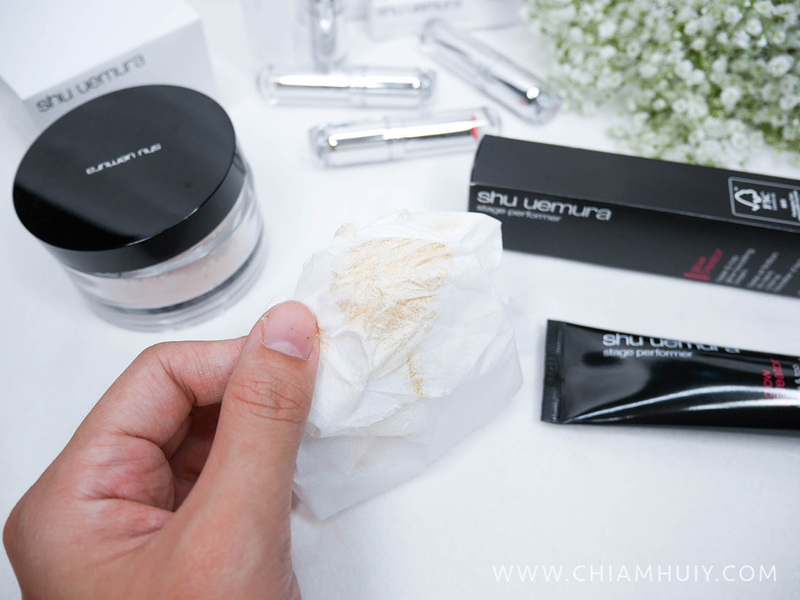 It can act as both a makeup base and a finishing touch (as highlight) after your makeup. Because of the gold shimmers in this glow creator, it helps to give a very subtle gold glow from your skin, as though you are glowing from within. If have a dark undertone or uneven skin tone like me, this would serve as a very good makeup base to correct the unevenness before you apply your foundation/bb cushion. It also helps to keep your makeup lasting longer and looking healthier. As you can tell from the tissue test, there are aplenty gold shimmers found in the glow creator. But if you're worrying that this is too much, it actually looks fine on my face as you scroll on further. So I applied nothing but only the glow creator in dazzling glow on the left side of my face and you can tell there's a subtle glow to it. The place I take my photo is pretty dimmed so please pardon my darker-looking skin tone. 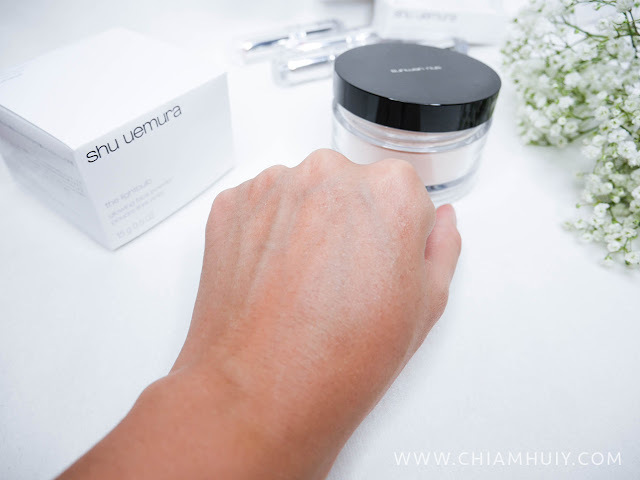 Following next is the shu uemura lightbulb glowing face powder (15g / S$60). A similar concept to the Stage performer glow creator dazzling glow, shu uemura lightbulb glowing face powder is able to bring out the higher points on your face. 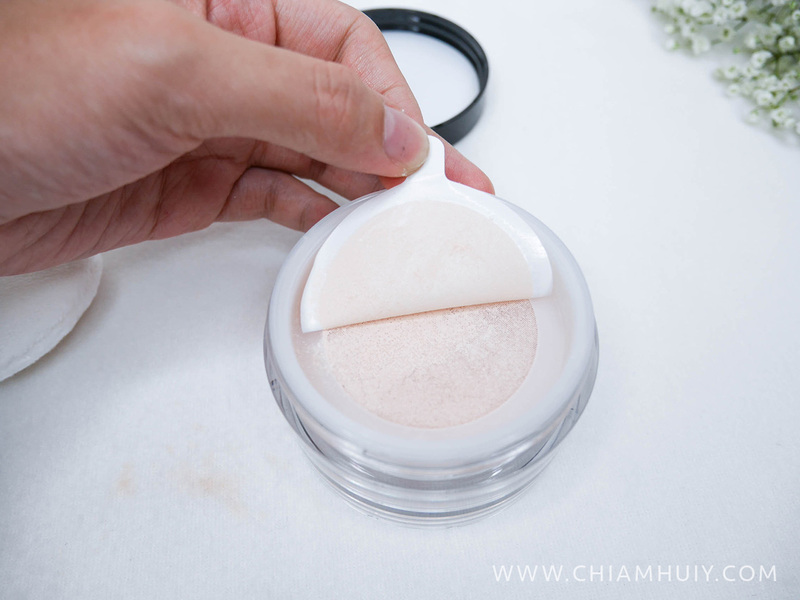 It gives a soft warm glow to your skin with its oil-coated powder which doesn't look too powdery or cakey. Personally, I really like the texture of this product. First it's very smooth, and apparently the lightbulb puff makes a great difference to how well the powder is being applied. Specially designed by SHUATERLIER, the lightbulb puff has a thicker elastic core and shorter piles on the surface, which helps to pick up the right amount of powder for an adequate way of application. How I use the Lightbulb glowing face powder. 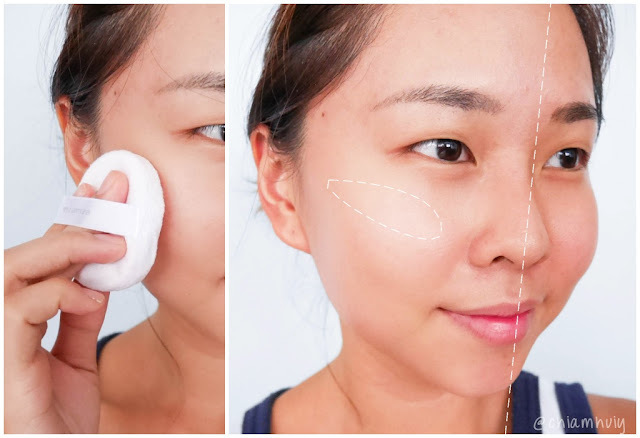 Since it's meant to attract light to the points I prefer it to be protruding, I'll apply the glowing face powder on my T-zone area, especially the nose. This powder not only gives the illusion of a higher nose bridge, it also helps to control the oil and keep my oily t-zone area matte and clean. The lightbulb puff is designed in a way that the powder doesn't accumulate on the tip of your nose, hence avoiding a cakey unnatural finishing. 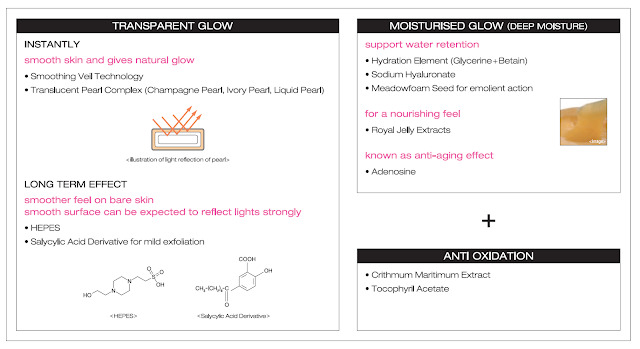 These areas should be enhanced with low-light products like the glowing face powder. 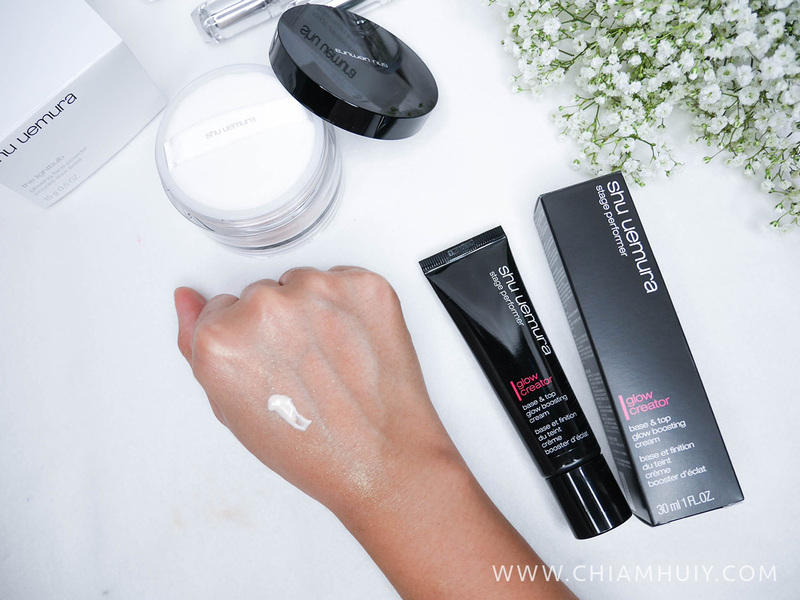 For a finishing touch, you can also go back to Stage performer glow creator dazzling glow and highlight areas like your cheek bones and brow bones. These areas are better to be high-lighted. So presenting to you, the shu uemura light sculptor collection!